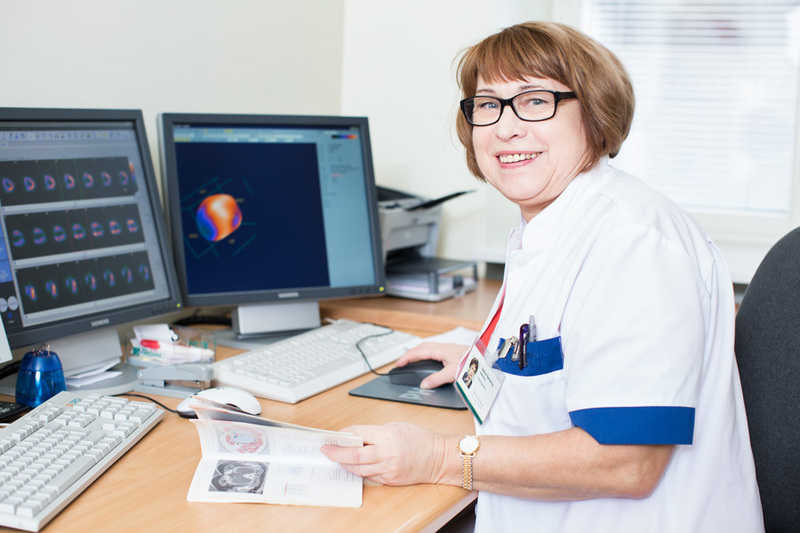 Estonia has more than ten years of experience and great expertise in nuclear medicine. There is an internationally accredited PET/CT centre here (EARL Accredited PET/CT Cen- tre of Excellence) and SPECT/CT and PET/CT hybrid equipment is used, which contains the very latest in cutting-edge modern technology. Precise diagnoses Nuclear medicine tests are able to identify medical conditions earlier than is possible with other radiology tests. This means that treatment for illnesses can start in their early stages and lets doctors assess and affect better the progress of the disease by identifying the exact type of tumour or inflammation, determining the stage of the disease and assessing the effect of treatment. The main tests done are oncological tests, but a large proportion of the tests are also done on the heart, brain, thyroid, lungs, kidneys and other organs. Effective treatment options Radioisotope therapy is used for oncological diseases like thyroid cancer, neuroendocrine tumours, metastases, some types of lymphomas or bone metastases, and for benign thyroid diseases and joint diseases. 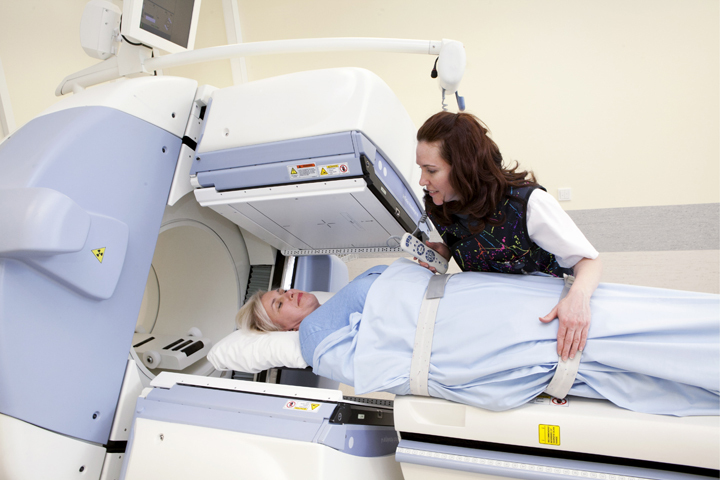 Radioisotope therapy puts little strain on the patient and has very good treatment results. A comfortable environment for treatment The treatment is carried out in wards that meet all the radiation safety requirements and resemble comfy hotel rooms with a functional bed, a television, an internet connection, telephone and shower. Patients are aware of the important point that although they can’t leave during the treatment, the ward is not locked and a telephone and screen let them keep in constant touch with staff. 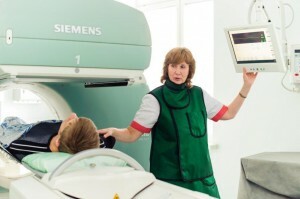 Nuclear medicine is one of the most popular medical services used in Estonia by foreign patients. Sample prices*: Radioiodine therapy for thyroid cancer using endogenous TSH stimulation: € 1900 Radioiodine therapy for thyroid cancer using Thyrogen: € 3100 Diagnostic scintigraphy using I-131 and Thyrogen: € 1700 (to be done 6 months after radioiodine therapy) Diagnostic scintigraphy using I-131: € 400 *Prices are given as a guideline only. The actual price will depend on the choice of services and may vary between service providers.